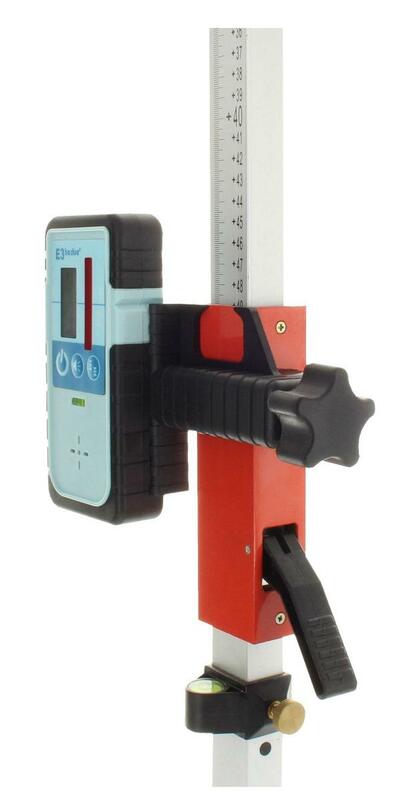 Robust and precise hand-held receiver with holder. The laser receiver hedue E3 (green) is compatible with green beam rotary lasers. 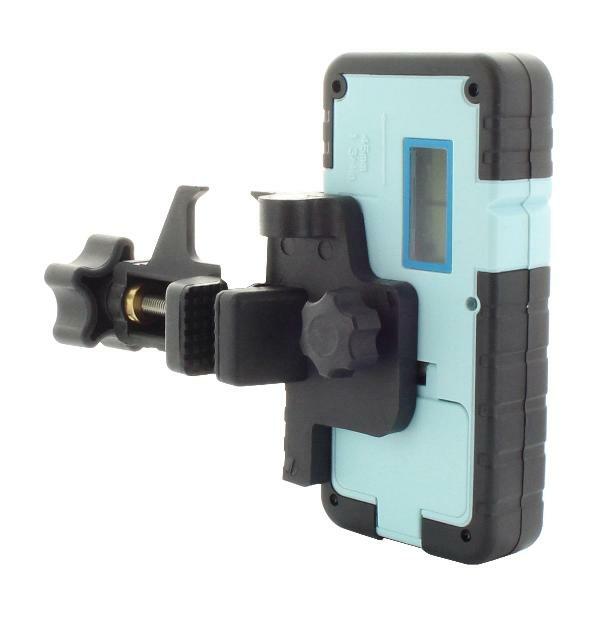 Due to its rubberized casing, the laser receiver lies securely in your hand. The clamp holder allows fastening on stadia rods and the strong magnet allows attachment to metal supports. Regardless of the laser beam width, the laser receiver hedue E3 measures with an accuracy of 1 mm.